End of Empires: 1744-1783 is a two player game covering the three great conflicts fought on the North American continent between 1744 and 1783: King George's War, sometimes known as the Old French War, which was part of the War of the Austrian Succession), the French and Indian War, part of the Seven Years War (known in England as the Great War for Empire), and the American Revolutionary War. The French and Indian War ended the French Empire in Canada; the American Revolution ended the British Empire in the 13 American colonies. Each End of Empire game turn represents two months' time. Each year consists of one spring turn, two summer turns, one fall turn, and two winter turns. Each hex is approximately 20 miles across. Units are mostly regiments but a few represent other sizes, each step represents approximately 250 men. End of Empire features two maps showing eastern North America. Each hex or town contains natural and/or man-made features that can affect the movement of units and the combat between units. End of Empire is an Epic game and perhaps the most detailed coverage of the critical period that saw the Empires of England, France, and Spain exit North America and the rise of the United States of America. 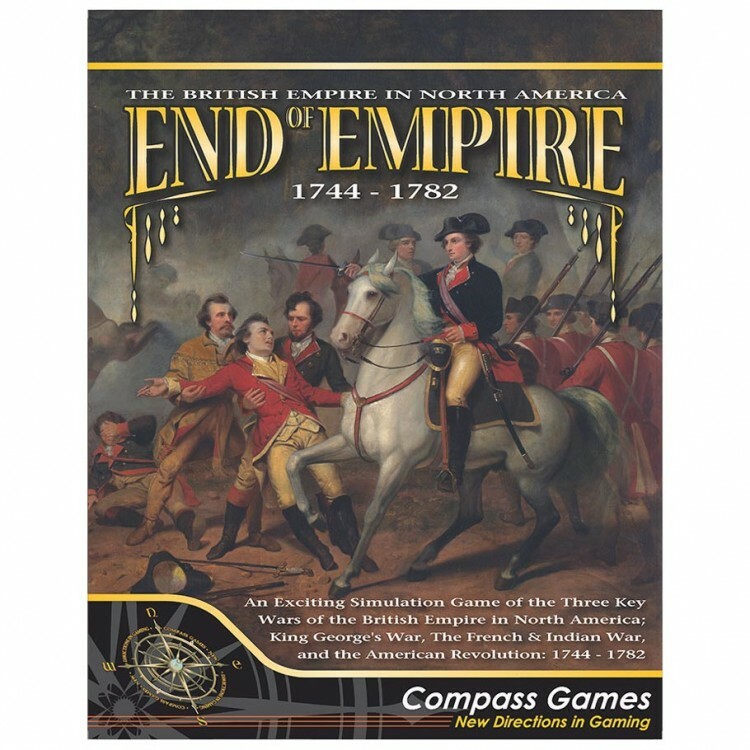 With thirteen (yes, 13) scenarios, End of Empire represents plenty of value for your gaming dollar.